One of the hurdles towards getting people to buy insurance is the public’s less-than-stellar perception of the industry. While this has improved in recent times, especially in more developed markets such as Singapore, several misconceptions about the industry remain. As such, it is up to insurance professionals to prove these myths wrong and foster the public’s trust in the industry despite the actions of some ‘bad apples’. Insurance Business spoke with Leong Sow Hoe (pictured), president of the of Insurance and Financial Practitioners Association of Singapore (IFPAS) and senior financial services director at Prudential Assurance Company, about how the industry and insurance professionals can help remove the public’s doubts, as well as how professionals can benefit from continued training. Leong began with the most popular misconception – that insurance agents and brokers (and other financial service professionals) are just trying to milk their clients of all their money. Another misconception that insurance professionals usually encounter is that all advisers are the same and it doesn’t matter where one buys insurance from. Leong also addressed the “outrageous” misconception that insurance companies are determined to find legal loopholes to avoid paying on claims. He said that this is not the case, as insurance companies are accountable to policyholders. According to Leong, in order to dispel these myths, financial service practitioners must become worthy of their clients’ trust. While all insurance professionals are given training before they can go out and sell, the insurance industry and the financial system in general is undergoing massive changes. Leong stressed the need for professionals to be up-to-date on the latest trends and changes within the insurance industry, and to be equipped with useful skills for their job, such as product training seminars and workshops for other relevant skills such as public speaking or prospecting. 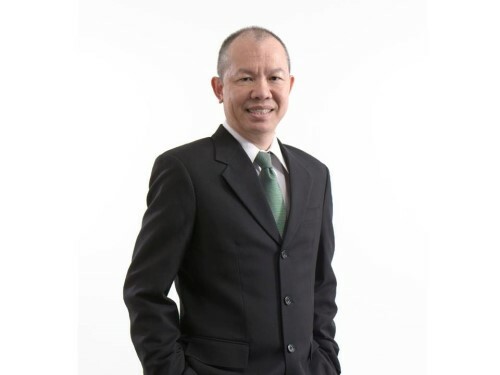 Leong shared that IFPAS provides a range of courses and professional accreditations for financial services professionals to equip themselves with the skills and knowledge to keep pace with the changing nature of the industry. Additionally, the IFPAS sets out the criteria for the professional accreditations it awards. Aside from continuing its members’ training, IFPAS also reaches out to the community. IFPAS and its members also share their knowledge by educating the public about MediShield Life, the Singapore government’s health insurance scheme.